To me it took a few games to get to that point. In my first years of MMORPG I was pretty ruthless, only keeping things I had immediate use for or that were actually collectable stuff. 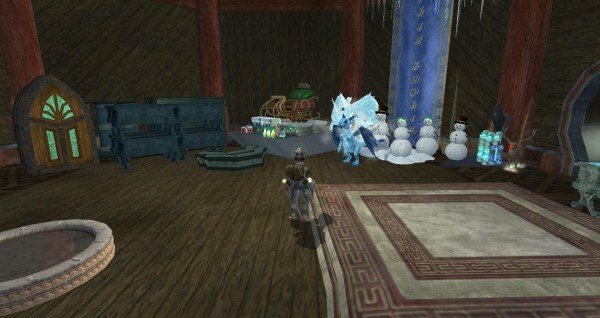 Then on Lineage 2 things started to change a little since due to the terrible crafting system and harshness of the game back in the days, it just made sense to hoard materials. Since all gear was completely tradeable it also made sense to stash them away for a future character or help out a friend in need. On World of Warcraft it wasn't too different. 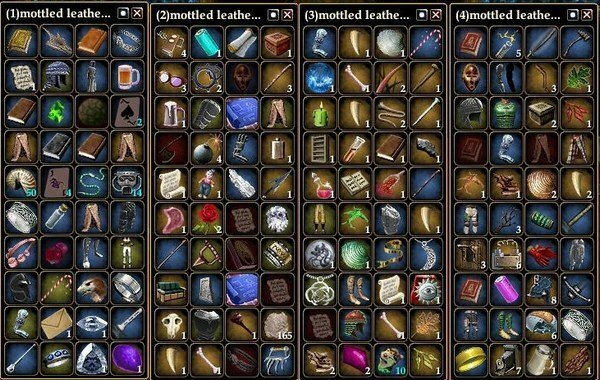 Usually I kept only rare materials or common ones I knew I would be using with another character's crafting profession. Anything extra would end up in the auction house. Then Evequest 2 happened. It was the game that turned me into a true MMORPG hoarder. 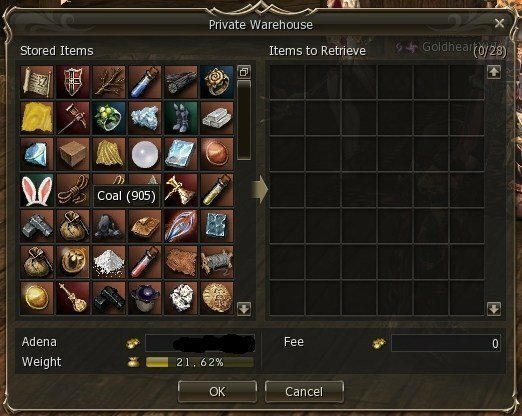 It all started innocently enough, just like all the other MMORPGs, just saving up on rare materials because there was a lot of value to them, either to make mastercrafted gear and adept III spells or some of the furniture for housing. Then there was the collectables, or "shinies" as the people usually call it over there. They were little glowing things on the ground you could gather, add to your collection and turn in to a NPC for some XP, a bit of money and occasionally some item too. Some of those were rare, so rare to the point of being worth a good bit of coin. If you knew what collections were cheaper or easier to complete it could also be a way to burn through a few levels, thus skipping the necessity of doing the same content for the 30th time when you made you made your 5th alt. Then there was the master quality spell books. Since Everquest 2 has various levels of quality for spells and getting a luck drop (or being dirty rich) was the only way to get master quality it made sense to save it for any prospective alt. 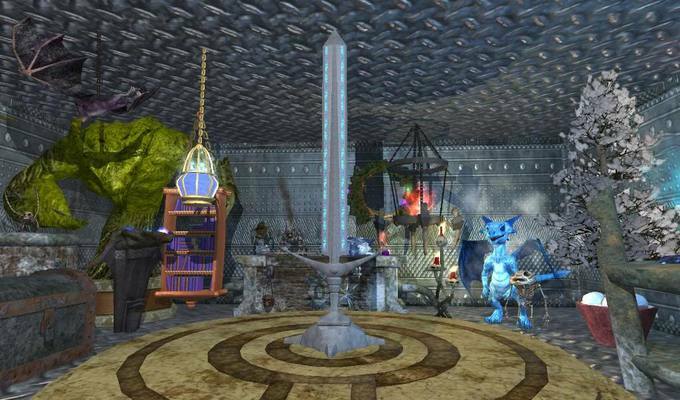 All of those paled when I found my true addiction within Everquest 2: house decoration. Again, it all started simple enough, just collecting event items and those made with rare materials. Events then started to increase at a pretty fast rate, bringing with them more and more types of furniture. At one hand, this gave us decorators a lot more cool stuff we could build with. On the other hand it also meant a lot more hoarding since a lot of those items were so good, so flexible that we would use a lot of them. And if we run out of any of those items it could mean waiting months of even a year to replenish our stock. The other option would be to buy them from another player for a lot of money. One of my "warehouses" in EQ2. It only doesn't look that messy because it would take a whole gallery to show the horrors of it. By that point banks and bags just weren't enough anymore to hold all my furniture. So I just copied an idea from other people, made an alt, got an empty house with him and just threw all my rare furniture there. To make the rest of this, a little shorter, eventually they allowed each character to own multiple houses. This was pretty good too as just one house wasn't cutting anymore to stash all my the furniture I was collecting for my projects. So I started to make multiple "warehouses" to stash it all. I even got to the point of separating between "warehouses" where festival stuff was stocked and one for those common furniture I reused a lot and even gave access to other friends to just go and grab it. Oh, indeed, decoration can be really addicting. It kept me playing Everquest 2 far longer than I would normally do and it is still makes it hard to move on from it. It is kinda a mixture of collecting and actually doing cool things with the stuff you collected. It is just a shame more games don't have a good housing system. Or even have a housing system. I guess I have fun doing it though, so that's something! I think it would be familiar to anyone who played Everquest 2 and was into decoration. I mean, just changed things a bit and nobody would know whose screenshot it was!